Earlier today, a group of Jats, who are opposing Kurukshetra MP Raj Kumar Saini's rally at Jind, clashed with the police and blocked the Jind-Chandigarh national highway in Jind. CHANDIGARH: The Haryana government today suspended mobile Internet services in 13 districts in the state for the next three days apprehending breach of law and order problems in view of two public rallies by a Jat body and ruling BJP's Kurukshetra MP on November 26. 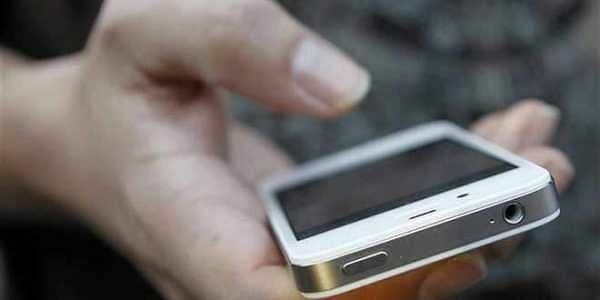 Mobile internet services provided on mobile networks except voice calls in the territorial jurisdiction of districts of Jind, Hansi, Bhiwani, Hisar, Fatehabad, Karnal, Panipat, Kaithal, Rohtak, Sonipat, Jhajjar, Bhiwani and Charkhi Dadri shall remain suspended for the next three days until midnight of November 26 beginning today, an official order said. The orders to this effect were issued by Haryana's Additional Chief Secretary (Home Department) S S Prasad. "The order is issued to prevent any disturbance of peace and public order in the jurisdiction of state of districts as mentioned and shall be in force for the next three days..," the order said. It mentioned that there is a likelihood of causing tension, annoyance, obstruction or injury to persons, danger to human life and property, disturbance of public peace and tranquility within the limits of state of Haryana by protestors or agitators and anti-social elements during the two public rallies on Sunday at Jassia in Rohtak district and at Jind. The police had to resort to mild lathi-charge to disperse the group of Jat protesters and the highway was cleared for normal movement of vehicular traffic after a while. Jat leader Sandeep Bharti, who led the protesters, was demanding cancellation of Saini's rally. Bharti alleged that Saini was known for his anti-Jat rants. He also accused Saini of spreading communal hatred by making inflammatory and derogatory statements against Jats. Kurukshetra MP Saini, who had been opposing quota for Jats, had earlier announced a "Samanta Maha Sammelan" in Jind for November 26. Jat leader Yashpal Malik had earlier announced to hold a rally at Jassia in Rohtak district on November 26.